Every time a blog comes up from Realpoints, it is already backed with facts and figures.This is yet another blog which talks about the price up and down in crypto industry.I am sure that all are aware of the amazing coin which is again back in demand called as Ethereum coin. It is priced over $200 today. But here are the lesser known facts about Etherueum price is as follows Ethereum when launched started with a good price but again was pulled down for less than a dollar for more than 6 months. What we now call Ethereum as a good block-chain technology had faced its hard days before the price shoot. Bitcoin for that matter went up to $1200 and fell down and stayed below $900 for more than a year. The revolutionary coin for that matter was at a low price of $0.20 for more than 2 years. What is it that made the price to go up? - It is the value and usability of the coin that makes the price go up. Realpoints have always focused on bringing value to the coin. As promised by the company we have many merchants who would accept RPT to provide goods and services and it will be coming up soon. Also we will be having casino sites which will be accepting our coins to play some casino games. Moreover, any person who joins Realpoints and has no idea about how crypto currency works can have an access to our online academics and get knowledge which is a powerful tool. One of the most important reasons why bitcoin is used and accepted on a large scale is because it has more people joined with them. The same is with RealpointCoin, the more members we invite, the more the value will increase. So what do you need to do is to invite more member to join Realpoints, What you get is an endless earning opportunity. The company is because of you, and if you want the company to grow, you need to grow. Let’s say Yes to Realpoints – The Best of Its Kind. 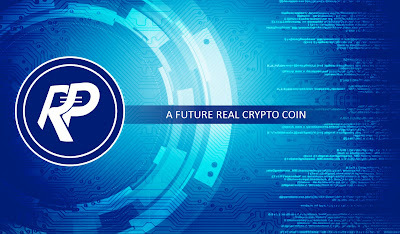 Realpoints – The next Alt Coin! !